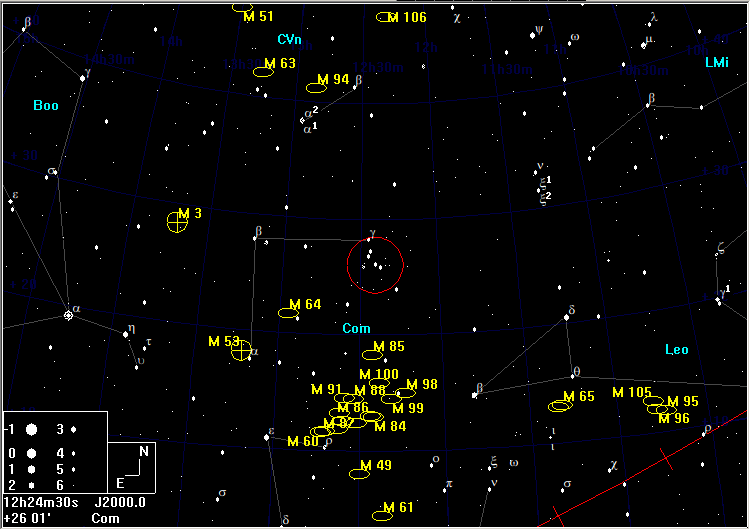 Melotte 111 is a large cluster of stars that includes γComae Berenices, although it is likely that γCom is a field star, not a true member. 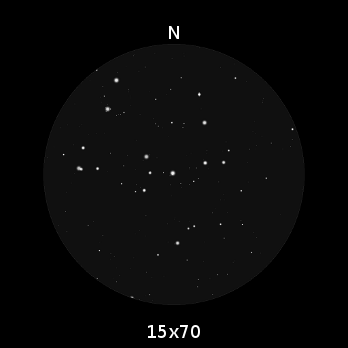 In a dark sky, the cluster is visible to the naked eye. It is the cluster that gives the parent constellation its name: in legend, it is the beautiful hair that Queen Berenice sacrificed to Aphrodite in order to ensure the safe return from war of her husband. In Babylonian myth, it is the veil dropped by Thisbe as she fled from the lion (Leo is just to the W). 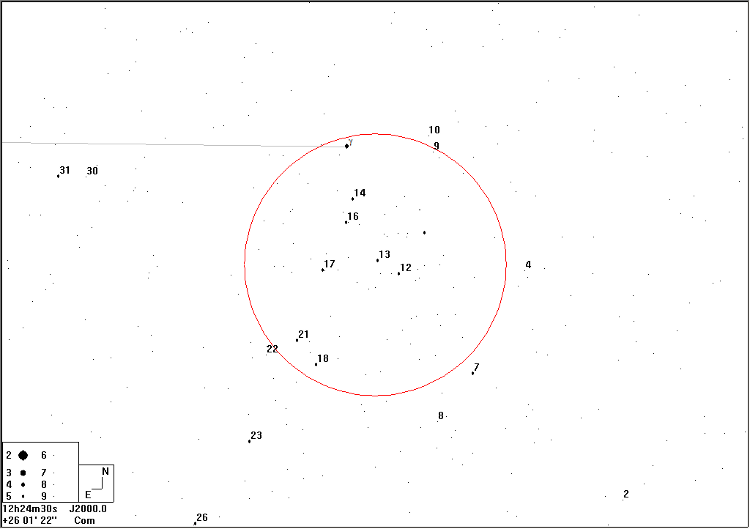 This cluster, the third nearest to us, overspills a 5° field.